Most of the birds have beautiful colours and shapes, but when it comes to Superb Lyrebird there are more qualities to be looked at: the super skill of mimicking sounds rather than just unique plumes that gave them their name. 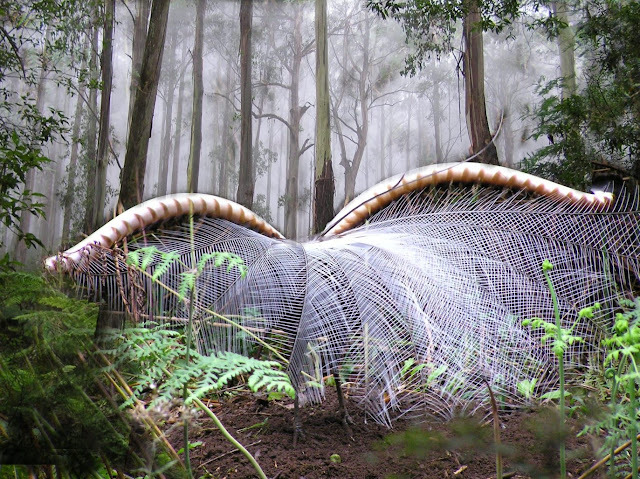 Lyrebird has two species of ground-dwelling Australian birds. They are from genus Menura, and the family of Menuridae. 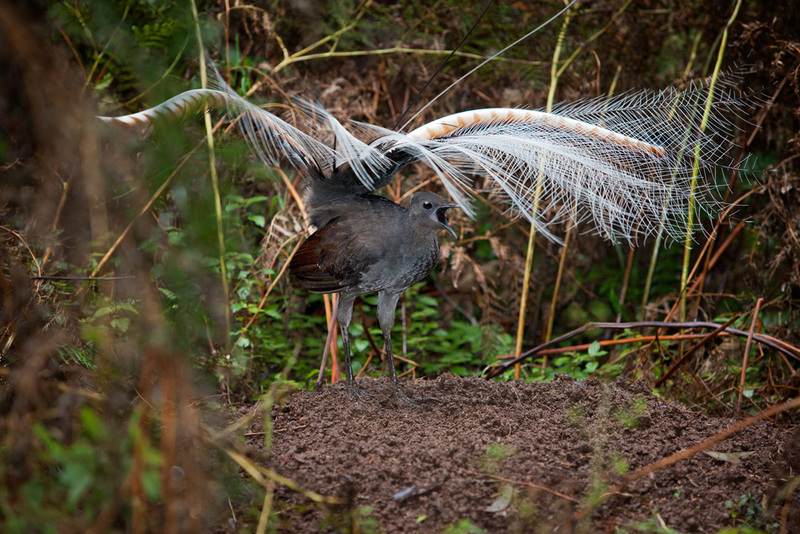 The male Superb Lyrebird has a beautiful tail feathers that they will fanned out in courtship display. Two of its tail feathers are curved, in display it resembles the shape of a lyre. The two species of lyrebirds are superb lyrebird (Menura novaehollandiae), and Albert’s lyrebird (Menura alberti). Both species inhabit the areas of the south-eastern Australian mainland and southern Tasmania. 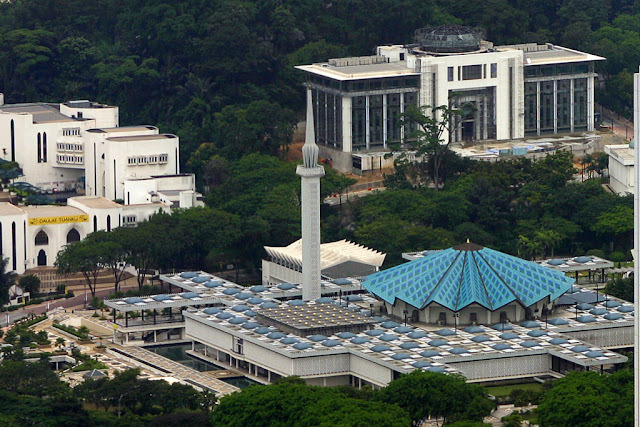 They are ground-dwelling species in the moist forest, yet they still roost in trees at night. They rarely move far from their areas that usually within a range of 10 km in diameter. 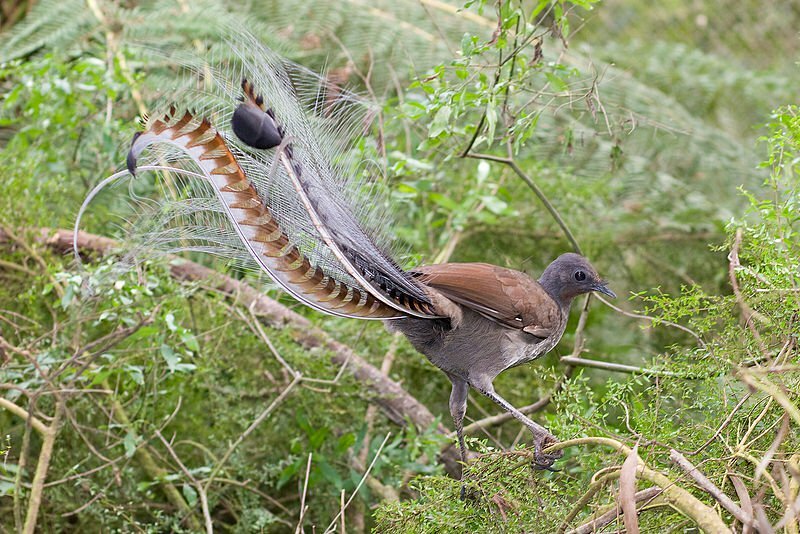 Superb lyrebird popular with its ability to mimic other sounds, whether natural sounds or mechanical sounds. It is believed that 80% of its songs are the result of this mimicry. They sing throughout the year, with its peak during the breeding season, from June to August. They can sing for four hours a day. They have been recorded mimicking human sounds such as a mill whistle, a cross-cut saw, chainsaws, car engines and car alarms, fire alarms, rifle-shots, camera shutters, dogs barking, crying babies, music, mobile phone ring tones, and even the human voice. As any ground-dwelling birds it mostly feed on insects such as cockroaches, beetles (both adults and larvae), earwigs, fly larvae, and the adults and larvae of moths. Other preys include centipedes, spiders, and worms. Less commonly prey on stick insects, bugs, amphipods, lizards, frogs and occasionally, seeds. It finds food by scratching with its feet through leaf-litter. Lyrebird tends to forage alone, while females and young males may be seen feeding together. Lyrebirds are not endangered in its natural areas. Albert’s lyrebird however, had been listed as vulnerable by the ICUN, but then with carefully managed habitat, the species was re-assessed to near threatened in 2009. Nowadays superb lyrebird is classified as common. Their main predators include cats and foxes, other than increasing in human populated areas. How Nutrient From The Sea Ended Up In The Forest?